Brazil, Russia, India & China are among the largest and most influential developing countries and as a group they are important for understanding emerging market trends. The table below shows how they compare in broadband household penetration. Russia, China and Brazil are fairly close together whereas India is significantly behind. 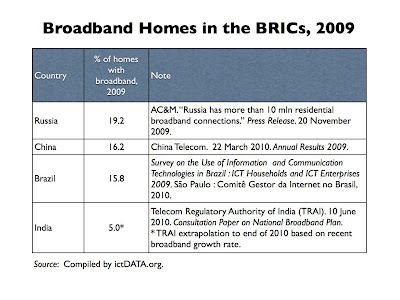 Despite the importance of broadband, national statistics agencies in the BRIC countries do not compile regular figures. 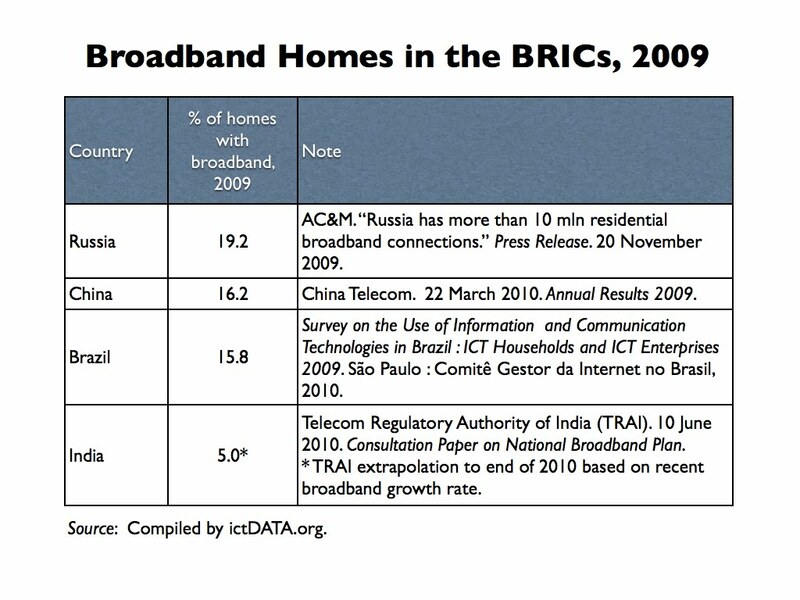 Data for Russia are from an ICT consultancy, China's statistic comes from the largest incumbent broadband operator, the figures for Brazil are produced by its Internet Steering Committee and the number for India was forecast by the sector regulator.